The solution to London’s transport problem? London-based architecture practice NBBJ - the team behind the shadow-free skyscraper - has conjured up a new concept to revolutionise the London Underground Circle Line that inspires urban mobility. 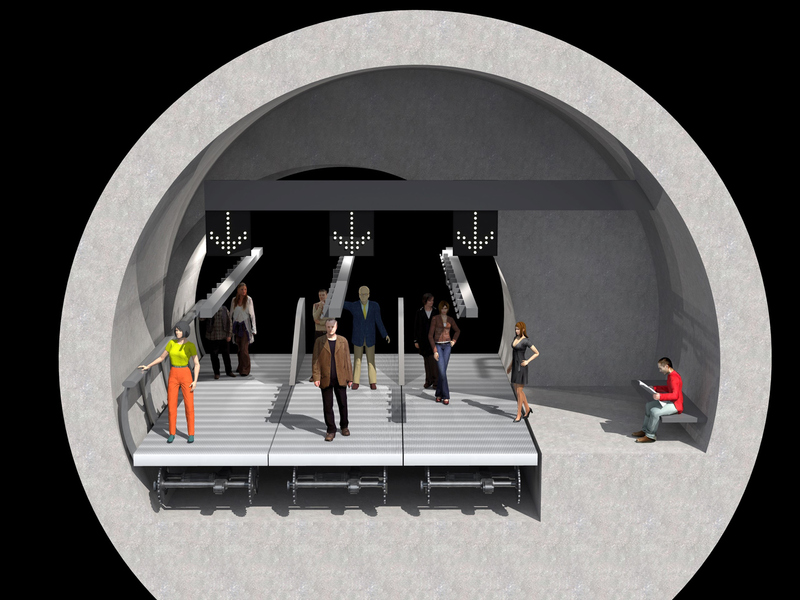 The proposal involves replacing trains on the Underground with three adjacent walkways - 'travelators' seen in airports worldwide - that will potentially take commuters around the Circle Line in less time than it takes a train. The walkways will all run at three different speeds - 3mph to 15mph - to cater to commuter's preferences. The Circle Line currently carries 114m people each year along its 17 miles of track, accommodating eight trains at any time and reaching a top speed of 20mph. Commuters enter at the slowest point of 3mph and increase their pace by walking onto the faster paths, up to a top speed of 15mph. Combining this pace with an average walking speed of 3mph, commuters would move faster than the current Circle Line trains that must stop at each station for boarding. This proposed speed does not include any additional delays from congestion that this particular tube route is frequently subject to. 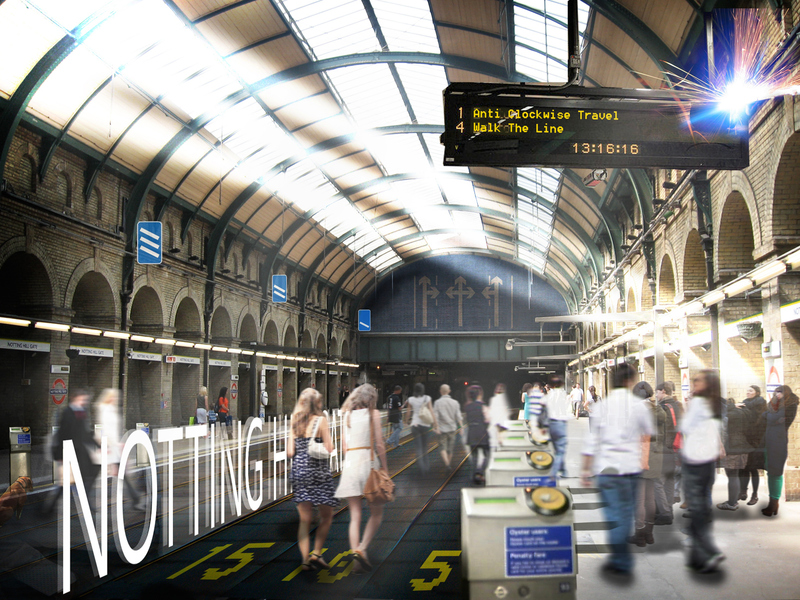 The outcome is a faster, more enjoyable and healthier commute for London travellers. Sweating walls concept: The future of air conditioning?